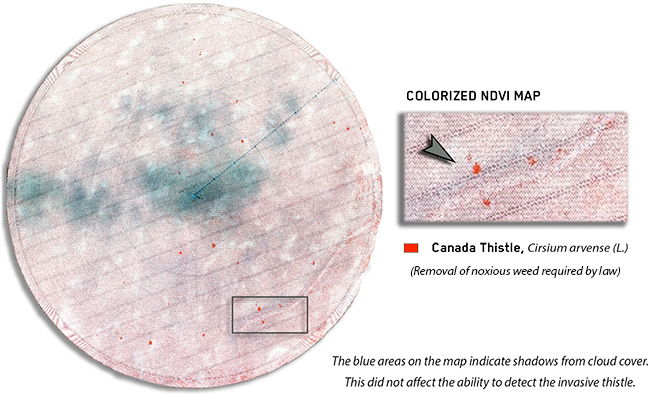 An NDVI map helped confirm the presence of a Canada Thistle infestation on this 122 acre corn field. A flat rate herbicide prescription was applied to the entire field. As shown in the aerial imagery, inspections confirmed that only 0.6 acres required treatment. An herbicide reduction of over 99% would have been possible with a variable rate prescription, decreasing the overall environmental impact and herbicide input costs.